I had the sincere privilege of meeting with Bruce Cockburn for an hour this winter. We talked taboo: faith and politics, and discussed his recently published memoir Rumours of Glory (HarperCollins). Visit http://convergemagazine.com/interview-with-bruce-cockburn-15500/ for the story. Volume 02 in 90 Seconds from WeMakeStuffVancouver on Vimeo. May I trust you more. 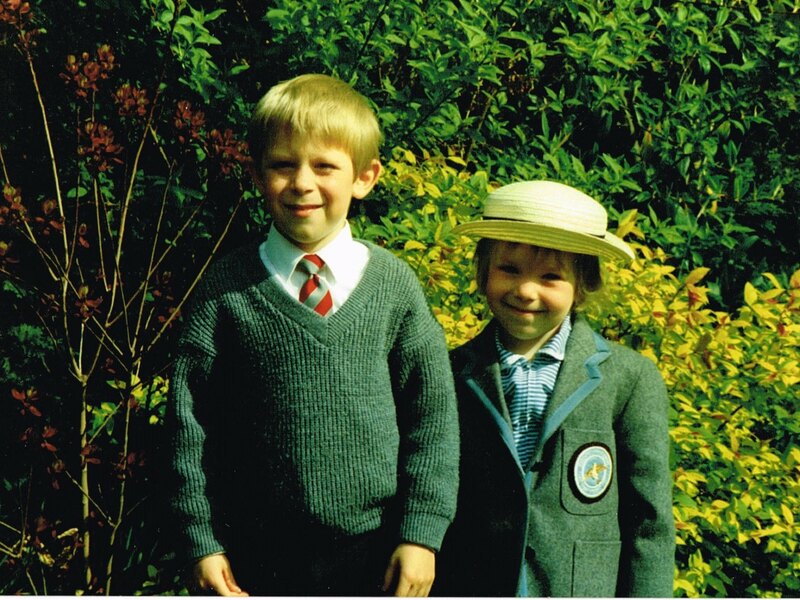 When we were young, my siblings and I would tell others who asked about our nationalities that we were “half-English and half-Canadian”. We’d even make a joke about it, pronouncing half the sentence in a British Surrey accent and the latter half in a Vancouver one. Many years since, as I learned about the kingdom of God and ruminated on the person of Jesus, I saw that Jesus too carried a dual citizenship. A citizen of earth and a citizen of heaven, Jesus modelled the responsibilities and privileges of this dual citizenship. 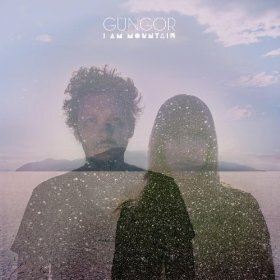 ‘Liturgical post-rock collective’ Gungor released their third album, I Am Mountain, earlier this week. Received with intense praise, in its musical quality, I Am Mountain continues Gungor’s journey of innovation, trumping Beautiful Things and Ghosts Upon The Earth. As Michael Gungor writes on his own blog, “explaining poetry with prose can sometimes be counterproductive”. It’s not wrong of people to want answers. We all do. But I say this: not every art piece produced by Christians needs to be a comprehensive picture of the gospel of Jesus. Christian Contemporary Music has attempted that and runs the risk of being inauthentic: what, you’ve got it all figured out? Attempting to answer our own hard questions is overwhelming. Michael speaks more about that in his book The Crowd, The Critic, and The Muse. My dancer friend Kim Stevenson is quoted in WeMakeStuff Volume 01, saying: “We do not give God enough credit for how much He can work through our art without it being a literal story about winning souls. God is so real to me while creating that I know He is integrated throughout my work. We need to dive into work that is relevant, pushing boundaries and moving ahead. We need to maintain high standards in our craft, and God will do the rest”. Even Jesus did not summarize the kingdom of God in one artistic composition. Further, he was famous for speaking metaphorically, not literally. He compared the kingdom of God to this and that, allowing the meanings to rise and connect from the deep places of his listeners’ subconscious. My friend Steffen, a marketer, tells me that 95% of our decisions are made subconsciously rather than consciously. Art forms carry power in their ability to bypass the rational-logical conscious filters and speak to the “heart”. It’s upsetting that some self-professed “long-time fans” are upset with Gungor, as if they’ve let them down. Let me ask you, on what grounds do you support an artist? As long as they give you the right warm fuzzies? It’s okay for Gungor to put out an album that focuses on questions and even heavier material. Michael Gungor himself doesn’t see it as a heavy album (see video below), but if that’s what the band is experiencing, their art is how they process it. Shunning their material and criticizing them publicly for it is like ostracizing your friend because they are asking hard questions in their personal life. These criticisms reek of an inability to empathize. They stink of objectification and narrow-mindedness. When we shut ourselves off the the artist’s process, and just expect them to deliver a product that we can consume, we’ve lost sight of the purpose of art. Art’s purpose is to ask the right questions, not deliver all the right answers. There’s only a handful of church gatherings in Ucluelet, BC, but my friends and I ended up at one that took us out for lunch, then rescued us from a soggy disaster of a tent that night, putting us on warm beds and couches. At this lovely little gathering I met Nelly and Jens Heyduck, artisans who moved to Canada from Germany four years ago. They planned to be here for only a year, but have found a home in Ucluelet – Tofino’s less touristy but no less picturesque neighbour. Nelly and Jens are the founders and crafters of Ahoy Bags. The bags are made from retired sailcloth donated by sailors and yacht clubs. Thanks to Jens’ skill with a heavy-duty sewing machine and Nelly’s background in design, the bags are both durable and eye-catching. Jens and Nelly told me some of their adventures and mentioned that they especially love meeting fellow Germans. “We have found we can reach out to more German people here than when we were in Germany! We run a Bed & Breakfast and meet people all over the world. As we share stories and hospitality, we become really close,” shares Nelly. Nelly’s letters home “get people interested in why they are living in this rainy little place – and they are watching us”, she says. “It has opened doors.” Having no relatives nearby opens up time for the Heyducks to connect with their neighbours and visitors more, “but we miss having a community of young professionals,” they share. One major logistical challenge that Ahoy Bags faces is in the sails themselves. Nelly says, “some kind souls donate their old sails or scraps, but at this point, it’s word of mouth.” Sometimes the Heyducks will receive word of an available sail, but have to drive a considerable distance to pick it up. Sailing is incredibly popular in the Victoria and Vancouver areas, so sails are unknowingly tossed there all the time, but it’s a long way from Ucluelet. The Heyducks hope that as the word gets out about Ahoy’s practical, ecologically-friendly upcycling process, that sailors will see a perfect recipient for retired sails. “We’re sure some people don’t know that there is a better alternative to dumping their sails. If you give us a mainsail, you’ll receive a bag. One hand washes the other!” exclaims Jens. 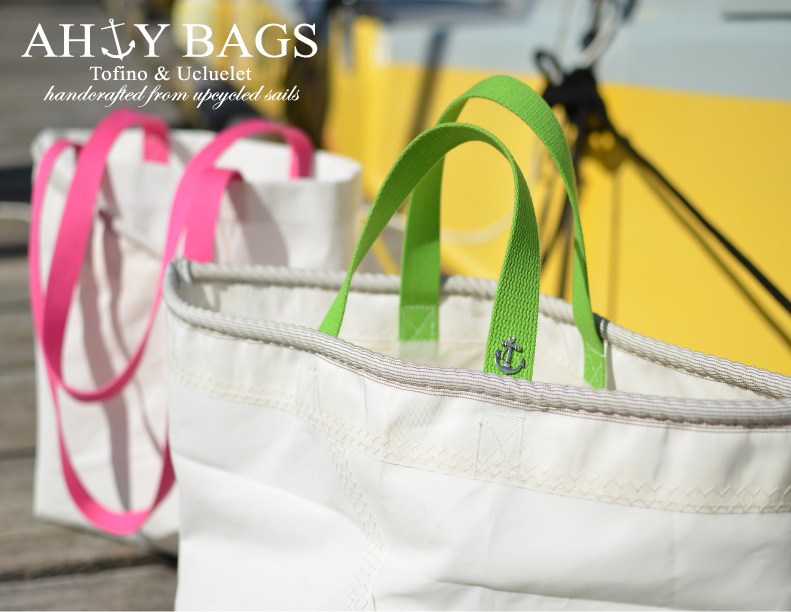 Find Ahoy Bags on Facebook and see their charm for yourself. Laura Kay Rudat, filmmaker, is full of surprises and is an incredible story-teller. Her brief yet fascinating filmmaking career has taken her to some of the most unlikely places on earth. In India she filmed the documentary A House for Vasan (below) telling the story of Hands on Houses, which builds houses for widows and the poor. In California she created her thesis film Moriah (bottom of page). Her upcoming project will be with a team in the Philippines. She is raising money for that here. A House for Vasan from Laura Kay Rudat on Vimeo. Many of you are wondering how I got to this point–bags packed, and hours away from moving to San Francisco. Aware that my student visa was due to expire at the end of August, I began to pray about my next step. I sensed my time in Canada was up, so opted out of extending my stay. In this time of seeking His will, God began speaking to me about San Francisco. The idea was strange to me for several reasons. To begin with, I was happier than I’d ever been in Langley. Freshly graduated and surrounded by close friends and an amazing church community, I had no reason to leave. Washington would have been the logical option if I were to leave; there I could enjoy the familiarity of home and family. Not only had I never been to San Francisco, but I didn’t really know anyone there (though I later learned two of my cousins have recently moved there). I thought that after making this decision, God would reveal more of the plan. But as I get ready to leave today, I know almost nothing. He is requiring me to trust Him more by not taking the matter into my own hands. But I do have promises, which I continue to hope in (Hope that is seen is not hope. For who hopes in what he sees?). I have promises of provision, purpose, community, joy, and His best. It was a year in San Francisco before she had her next big realization: that her hobby-love for filmmaking was not only real, but what she was meant to pursue. Entering film school and subsequently working things out in dead space after graduating was a testing time period for Laura, but things changed shortly for the better. In the last year she has moved north to Redding where her presence at Global Legacy has taken both her love for the nations and her love for filmmaking and married them in a dream come true. She is truly living the dream. Laura’s fun, quirky, and inspiring blog And So She Went will tell the rest of her exciting and challenging story. In the meantime, find Laura Kay at film festivals and on Vimeo. Communication: the buzzword for healthy relationships. If faith is a personal relationship with God, why is communication with him such a mystery? This updated and expanded book seeks to clarify what it means to hear God and addressing many misunderstandings of this fundamental piece of the life of faith. This is a comprehensive, level-headed, and challenging book on divine guidance. 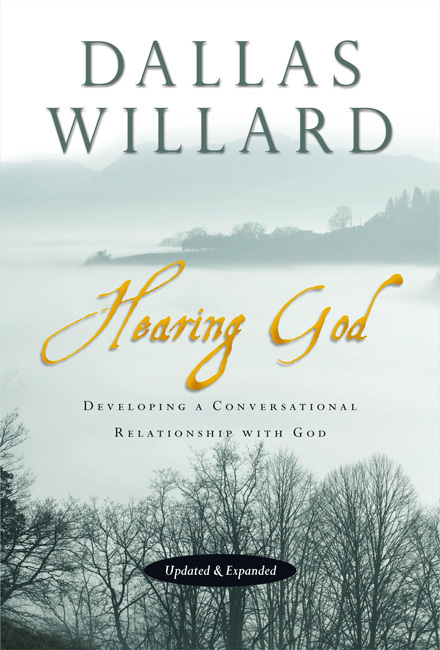 While believers around the world soundly establish communication towards God, Willard seeks to illuminate the missing piece: communication from God; that is, hearing and understanding what God has to say about us. With marvellous insight, Willard challenges the reader cognitively and calls forth reflection. Using plain language yet brilliant analogies in everything from quantum mechanics to human anatomy, revealing the indications and implications of God’s interaction with us. The book’s second interest is answering whether it is more dangerous to risk trying to hear God or not trying to hear God at all. Willard is adamant about the importance as well as the reality of Christians being able to hear from God personally. Ultimately, Willard’s point is that the Christian person needs to be able to hear God, or they will forever be paddling in the shallow end of the spiritual life. Willard restores the individual relationship with God amongst the other pillars of a healthy spiritual walk – community, Bible reading, and so on – so that people do not become dependent on imperfect human advice for every little thing. More than ever, Christians are seeking ‘God’s will’ for their life. As a result, many groups devise seminars, strategies, and steps to do this. Willard’s thesis revolves around developing a relationship with God in all kinds of ways, the Bible being one. This updated and expanded version includes six Lectio Divina exercises to guide readers into hearing God through reflective reading of Scripture – while readers also train themselves to hear the ways in which God communicates. At the end of each chapter are reflection questions that may help the reader further unpack meaning for his or her own life.